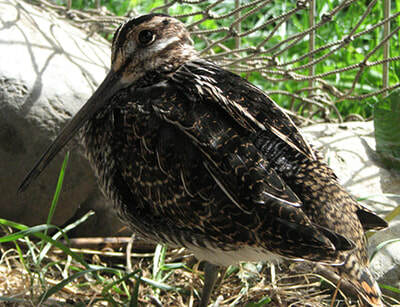 Native Bird Care is an avian rescue center in Central Oregon specializing in native birds needing unique care such as song, shore, and water birds. We rely on public support and dedicate 100% of donations to bird care, housing, or medical treatment. There are no paid staff, and the facility runs through thousands of hours of dedicated volunteer time and effort. DONATE to SAVE BABY BIRDS NOW! Birds need our yards for nesting. We will never see most of these nests, birds excel at hiding. But, eventually the babies must leave the nest. Some birds must learn to find food on the ground - they are ground-feeders. These include all of the doves, juncos, and the infamous robin who cheers us up during the spring with its lovely call. In fact, most birds use the ground at least some. Is easy to help our flight friends with some simple solutions. If you've ever been heart broken at the sound of a thud on window, check out our many options and ideas on our window solutions page. If you have a beloved kitty you know loves being outside, set up a fun catio gym (internet search catio for cool ideas). This is a fun kids project too. And if those pesky woodies are banging on your home, check out our harmless solutions on our Living With. There's all sorts of other ways we can help too of course. Planting native plants so our birds have recognizable foods and bugs is very popular now. Shrubs offer hiding places and our native shrubs (sage, bitter and rabbit brush) excel for bird food, housing, and hiding. Most birds eat bugs, so having healthy native plants and shrubs in our yards helps our birds with food. Not using pesticides and herbicides, keeping dogs on leash, etc. Bird feeder placement, also makes a difference. Check out our blog for ideas on where, how, and when to put out feeders and other tips. And check out the Blog for interesting stories, tips and solutions, and pictures of our beautiful patients.